The demand in vegan makeup, cosmetics and beauty products in Australia has dramatically increased in recent times, with every skincare and makeup enthusiast wanting to get their hands on high quality vegan beauty products; not only for health reasons but, also, to take a firm stance on animal cruelty. With that in mind, at BeauDazzled, we went on a quest to find the brands that are unique but also meet the cruelty free and vegan criteria. We picked the best products that these brands have to offer. This is not about compromising on your beauty regimen. On the contrary, this is about empowering you to make better choices while maintaining your routine and style. How do you know whether a product is Vegan? A vegan product does not contain any animal ingredients or animal derived ingredients. This includes, but is not limited to carmine, lanolin, beeswax, honey, gelatin, and many other ingredients. 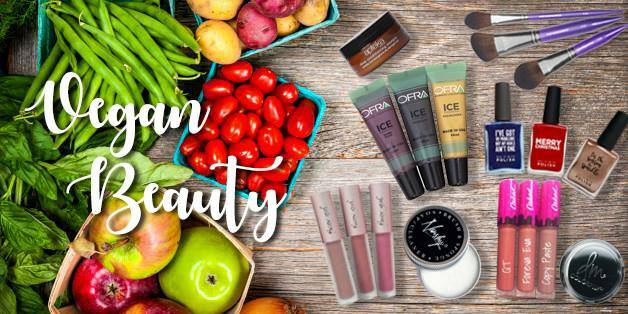 The transition to vegan beauty products can be easy for some and more difficult for others. The smallest effort counts, though. Even if you swap a handful of your beauty products, you are contributing. And, your contribution is what matters, at the end of the day. Once we started our search for unique products and brands, we realised that there are a lot of beauty brands that are cruelty free and offer a mostly vegan range of products. What captured our attention was the transparency that these Companies were willing to provide. Our partners were very forthcoming so that we were able to establish whether their products are cruelty free and/or vegan. Here at BeauDazzled, we stock brands that are both 100% vegan and predominantly vegan. We believe in transparency and in providing you with the information that will allow you to make informed decisions. Below is a summary. We will continue to update the below information while our partners continue to work towards converting more, if not all, products to 100% vegan. We deliver vegan makeup around Australia, with regular postal deliveries to Sydney, Melbourne, Brisbane, Adelaide, Perth, Gold Coast, Darwin & Geelong. Beeswax is the only animal derived product in any of Eye of Horus products. Goddess Mascara and Goddess Pencils contain ethically farmed beeswax. All other products are 100% vegan. FACE atelier is in the process of becoming 100% vegan as the brand removes non-vegan ingredients from the relevant products. With exception of the Lip Putty and LipRX range, which contain beeswax, we don’t range any of the products that contain animal ingredients. Not all Girlactik products are vegan; some contain beeswax, carmine, and glycerin. Girlactik use synthetic beeswax as well as avoid the use of carmine whenever possible. Please refer to the ingredients list for each product to determine if a product is vegan. All remaining Lily Lolo products that we range are 100% vegan. The only animal products SENNA uses is beeswax and carmine. SENNA is in the process of moving most products over to a synthetic wax. We will provide progress updates right here. In the meantime, please refer to the ingredients list for details on each product. The majority of LA Splash Cosmetics’ products is vegan, however, the lip products contain beeswax and/or carmine. Cailyn Cosmetics is not classified as a vegan brand. Some products contain animal ingredients. For further details, please refer to the ingredients list. Gállány Cosmetics is not classified as a vegan brand. Some products contain animal ingredients. For further details, please refer to the ingredients list. For further information and, if you have any questions, please send us an email. We will get back to you, shortly. Below is a selection of our 100% Vegan Makeup range. Enjoy shopping! Remember that we deliver vegan & cruelty free cosmetics right around Australia. We arrange postal deliveries to Sydney, Melbourne, Brisbane, Adelaide, Perth, Darwin, Gold Coast, Geelong & lots of other places.